Out on the Serengeti, the innocence of a little child wrapped in the warm, protective, loving arms of his mother is a universal symbol of a need for peace around our beautiful world. The slow daily life of other Maasai from the tribal village all around. This little guy captures it all from the vista of his Mom’s back. The rhythmatic beating of the drums suddenly pierced the air. From where I did not know. Quickly looking around, multiple sets of feet began to appear from behind a mud walled, grass thatched hut. 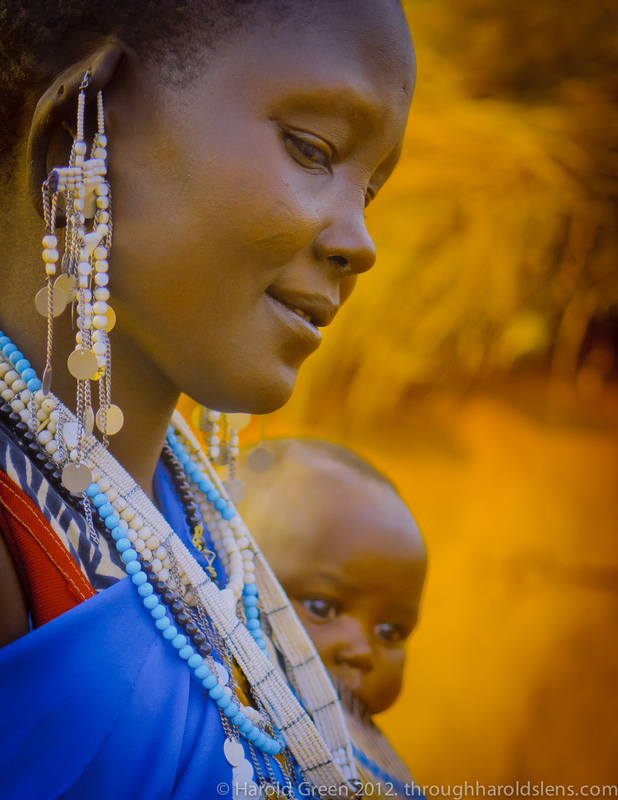 To the shock of the Maasai, I laid down in their village dirt floor to capture this shot. Against the roasted brown backdrop of the African veld, the unfolding, stomping line of bright colors of the Maasai dancers were quite a sight. 550 Pounds Of Hungry Meat Eating Beast. Eats 15’ pounds of raw meat a day. Stalks your livestock and family outside the open door of your hut every night. You protect yourself from the Lion with what nature provides. Cutting branches from acacia trees, with their 3” long thorns that do not bend, the Maasai weave a 6’ tall thorn fence around their villages on the Serengeti. 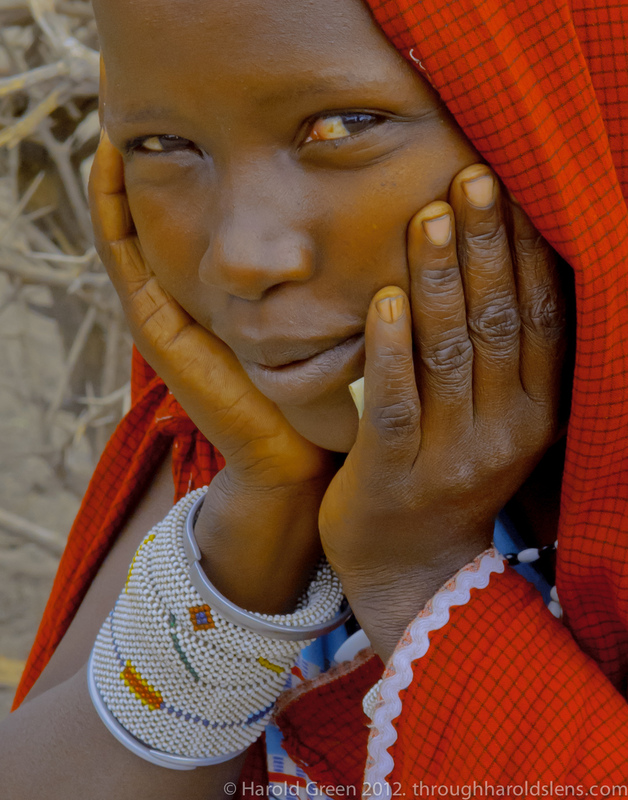 The Maasai people reside in both Tanzania and Kenya. 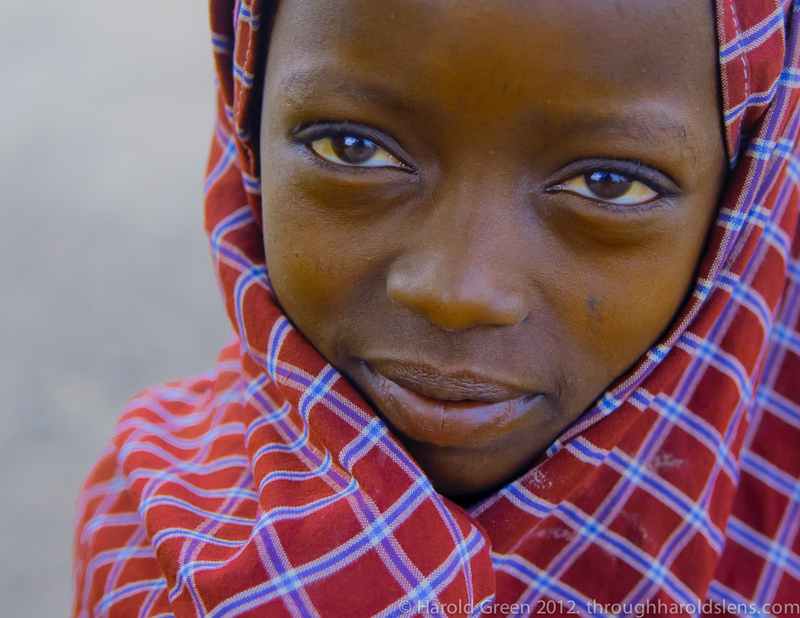 They are a small tribe, accounting for only about 0.7 percent of Tanzania’s population, with a similar number living in Kenya. Maasai speak Maa, a Nilotic ethnic language from their origin in the Nile region of North Africa. What I think is amazing about these hands are the numerous age lines and the texture. I found these hands out on the Serengeti. 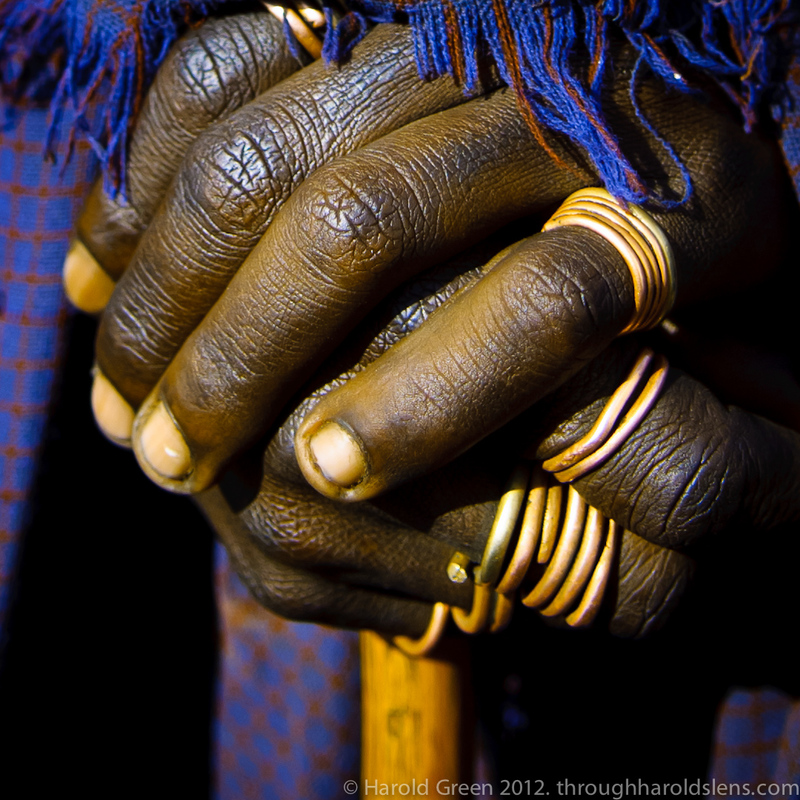 They belong to a Maasai warrior to be who had been herding his tribe’s cattle all of his life. Wearing traditional white chalk paste in circles around his eyes, this young 15-year old Maasai boy is celebrating his completion of the three main rites of passage of the Maasai. The creative talents of the Maasai are passed down from generation to generation. 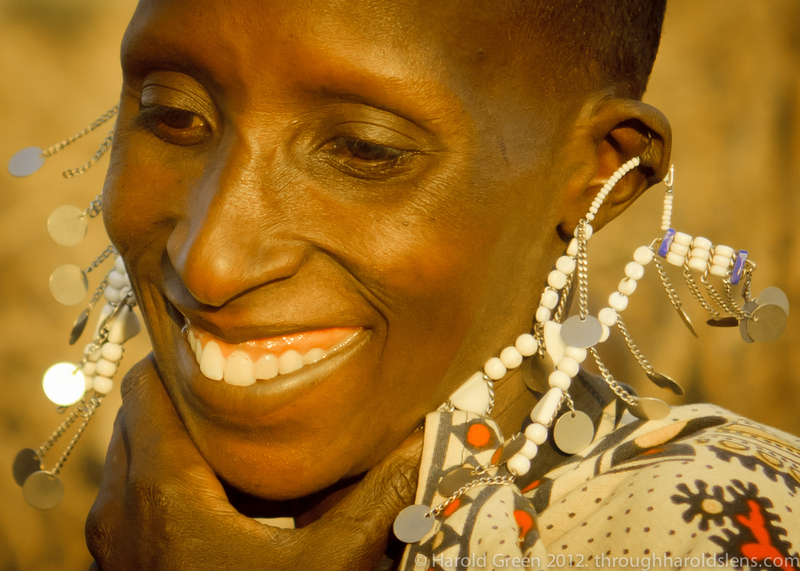 The jewelry is always made by the Maasai women. Relatives and fellow tribe members help each other. Childhood passes swiftly for Maasai girls. Traditionally married in their teens, their prime duty is to produce sons to increase the father’s prestige within the community. Slowly our Land Rover rolled down the dusty dirt road through the Serengeti of Maasai country. As we were meandering around a curve I spotted a herd of sheep and goats. Then I looked behind them. 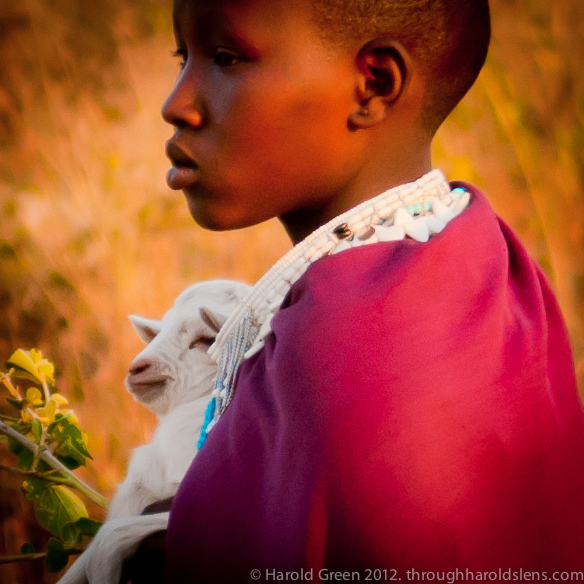 Spotting this little Maasai carrying the baby lamb all alone on the veld I called “halt”. Leaping from the Land Rover, I ran about 10 yards, kneeled down and fired my Nikon. ‘give us the strength to do the work that we have started here – here being the land implanted into Massailand by their Fathers – which will grow and thrive ‘like the oreteti tree that is green even in times of drought’. The Maasai live in mud walled one room homes with an earthen floor and a grass thatched roof. Everything to build their home comes from the land. Only the women build the home. The men are not involved. This Maasai woman was building her home, layer of mud on top of layer of mud. After taking a few photos I asked her if I could help and next thing I knew her hands and mine were immersed in a pile of mud hewing the sides of her new home. What a rich bonding experience! 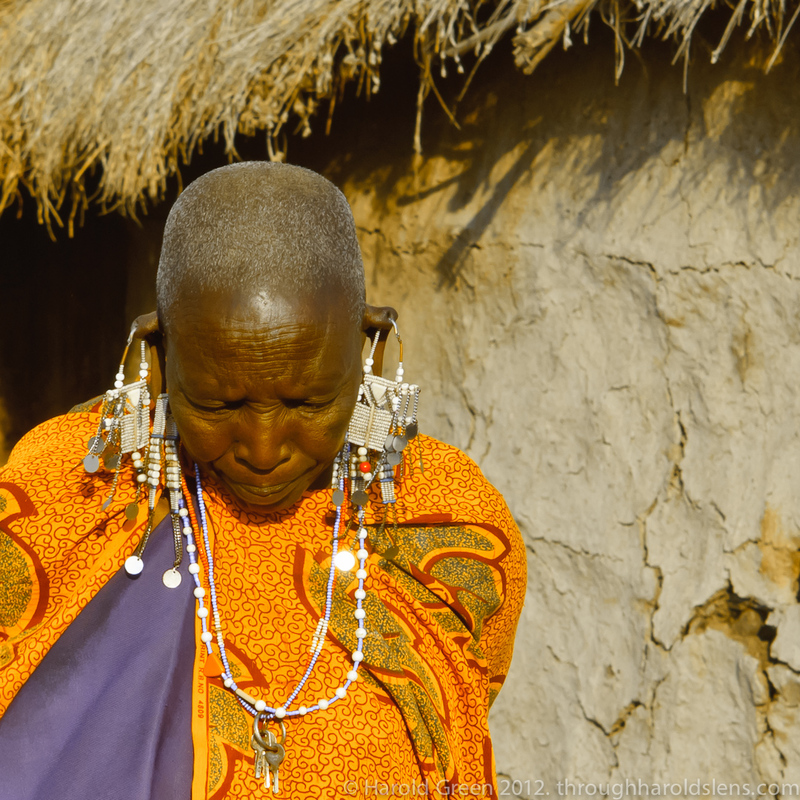 Watching her stand outside her very simple home, I wondered if this elderly Maasai woman was hoping that in 50 years, the life and rich culture of her Massai tribe and culture will still exist as it always has been. I don’t speak “Maa”. The language of the Maasai. 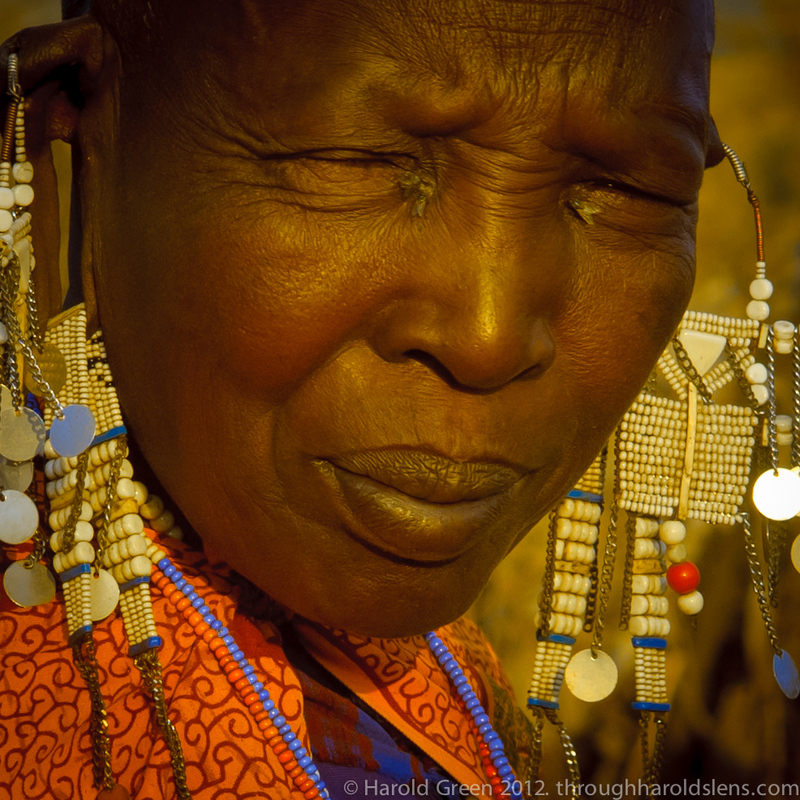 I told my Maasai bi-lingual guide to tell this Maasai woman that she was very beautiful and I loved her jewelry. 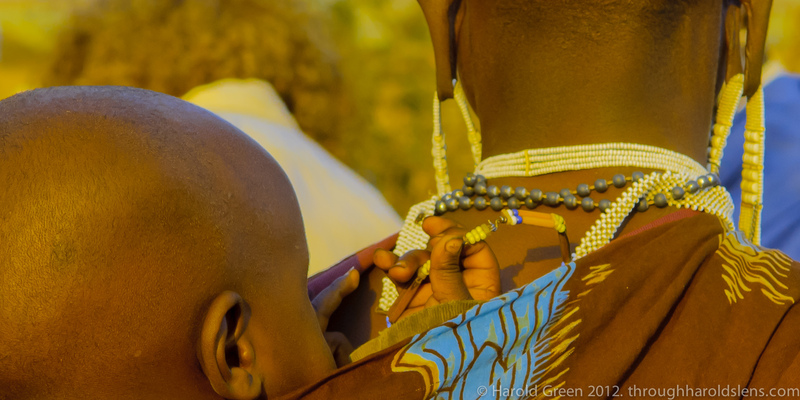 My love affair with the Massai is one of the main reasons I went back to Africa again. They are very beautiful ordinary people living a very simple life style. Some of the other chores these little girls tackle include drawing water, hewing wood and plastering their homes with cow dung. Welcome to my journey of experiences with the Maasai. The Maasai tribe is the most authentic ethnic tribe of Tanzania and Kenya. 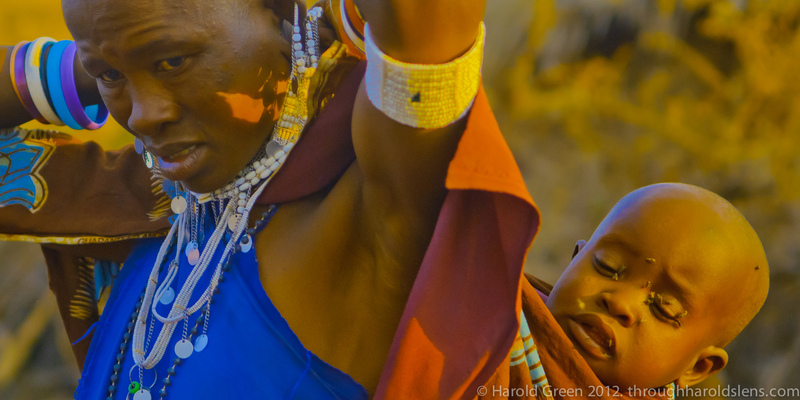 The Maasai are a unique tribe due to their long preserved culture. Despite education, civilization and western cultural influences, the Maasai people have clung to their traditional way of life, making them a symbol of African culture.